Killah Quan is one of the top artist in VA handsdown his music is what the industy need he have been makin music for 6yrs chasing his big dreams for 3yrs but ever since “Killah Quan” got on stage its been different ever since,His unique sound wit his perfect voice.He has rocked shows wit numerous industry artist like D-Block,Freeway,Cam’ron,Young Buck,Meek Millz & many more.Killah Quan name is Buzzin real hard in VA because his grind is so heavy out there. His mixtape “The Life Of Killah Quan promo mixtape started everything & it was one of the most anticipated mixtape of the summer of 2011.He has dropped ova 12 music videos in 2012 him & his Team.KILLAH QUAN is one of a kind he also dropped his recent mixtape (4.17.12) called “The Only Soldier Standing” Vol.1 its going ham in the streetz of VA still right now!Plus he “s been working on mixtapes wit his Group (TMG) they recently dropped “The Time is Now” & “Bigger Than Music” go check them out on datpiff.com. 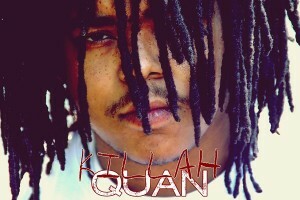 Follow Killah Quan on twitter @KillahQuanTMG to stay updated on shows,music,videos,news! On reverbnation,soundcloud,youtube & many more !